Welcome again! Continuing our walking through the photo facilities in Xiaomi Mi 8 6gb 128 GB (Global version). The camera sensor 1/2.55″ works very good. It is similar to pretty good compact camera (Pic. 1), so pictures are really good, which you could see in my previous article. Pic. 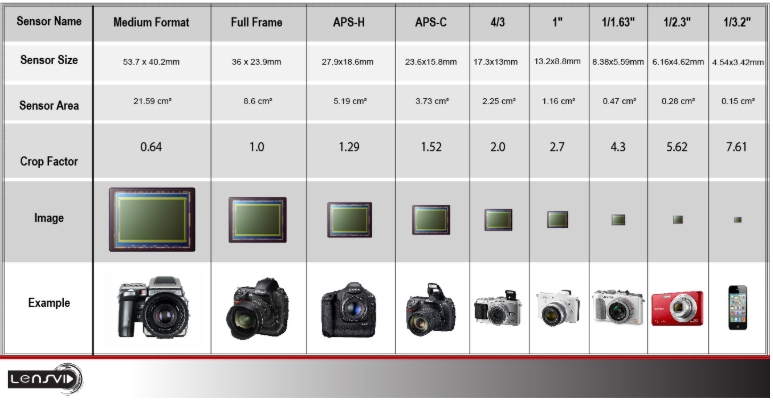 1 The standard sensor chart (akiwiretrospective.wordpress.com). Let’s have a look for a general picture quality in this Xiaomi Mi 8 smartphone. I have taken into account especially a chromatic aberration and sharpness, which are the most important elements comprising of general picture quality. I have embeded a few examples below (Pic. 2 – 8), which has been also cropped in order to show the details. Bokeh is a good feature, that Xiaomi Mi 8 can boost. I have described it previously, in case of the Portrait mode, however it is also perfect for another objects (Pic. 2, 3). Pic. 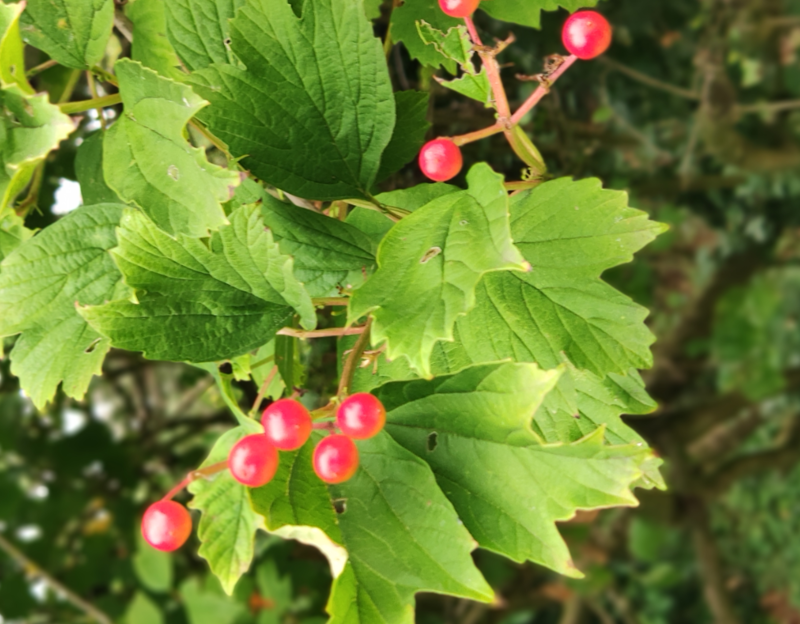 2, 3 – A bokeh example in Xiaomi Mi 8 smartphone: 2 – normal picture, 3 – cropped. 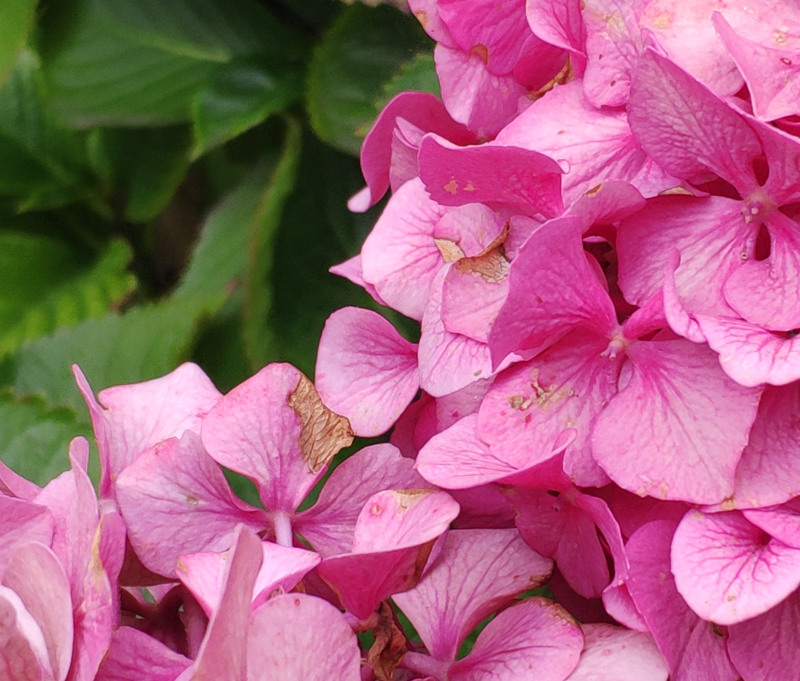 Hydrangea cityline Paris shrub. Sharpness works really good. 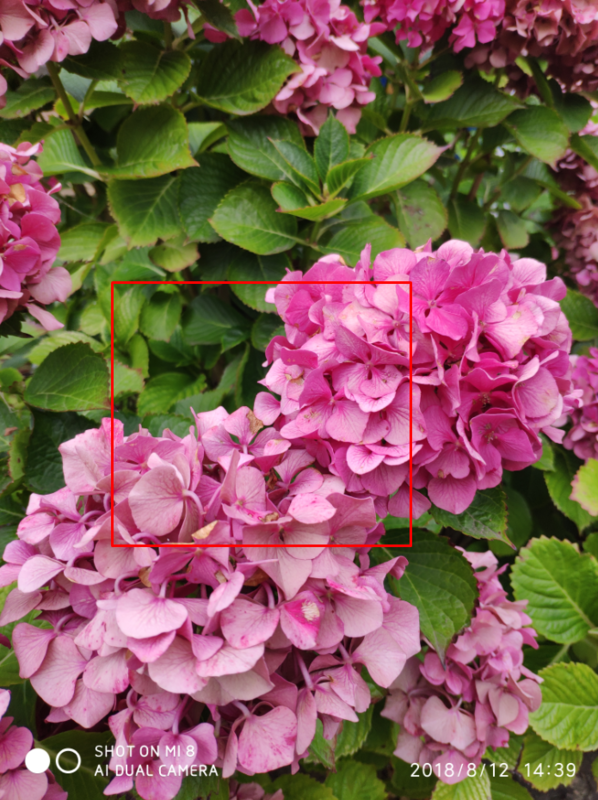 A big sensors hides a lot of defects, that has been visible in earlier smartphones, like Samsung Galaxy S5, which I had ocassion to test before. Images can be easily mistaken with typical pictures taken by an moderate compact digital camera (Pic. 3,4). Pic. 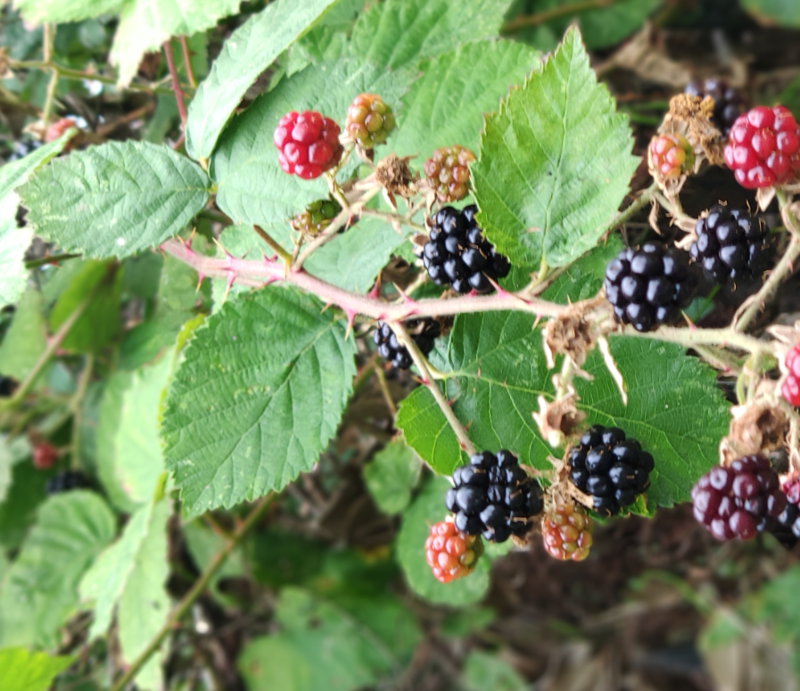 4,5 – An example of sharp picture taken by Xiaomi Mi 8 smartphone. Wimpole Hall area, United Kingdom. A chromatic aberration remains practically invisible in normal photos. This bad feature can be spotted once you decide to take a picture with filters. Filters enhace some colors and faint another ones, which in effect emphasize some bad features. Anyway this is a not big issue, unlike to cheaper smartphones, where it is more discerneable, even in typical photo modes. Pic. 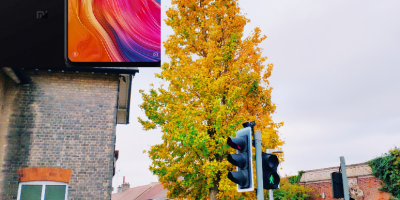 5, 6 A chromatic aberration in Xiaomi Mi 8 smartphone as seen mainly only in photo filter conditions. 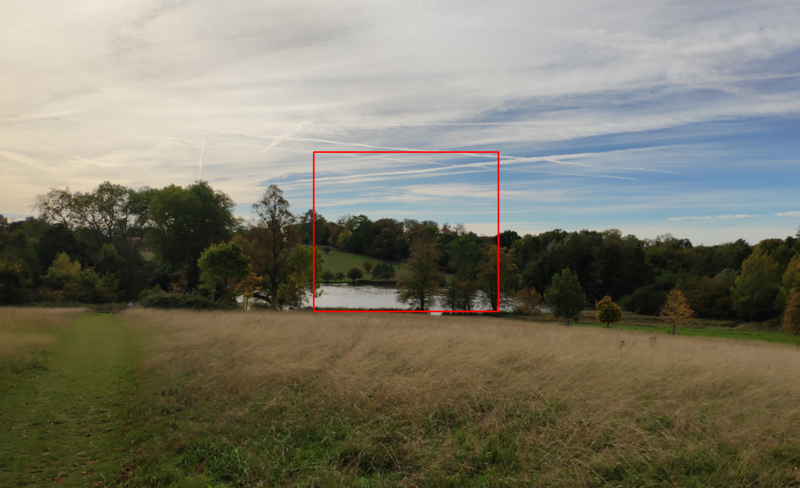 Red arrows indicate a colour deviation lines adjoining to the more darker areas in the photo frame. These features are to be seen in cropped picture only. Now is the time to enclose the information about a zoom, provided by Xiaomi Mi 8 smartphone. The 6GB 128GB model has pretty much the same zoom weature as its another Mi 8 smartphones. A main optical zoom reaches 2x, which is still far better than in cheaper smartphones. Taking into account for instance Samsung Galaxy S5, the optical zoom was not provided there and user could use only a digital one up to 4x enlargement. The optical zoom in Xiaomi Mi 8 can be used in all modes, except the Portrait and Manual one. 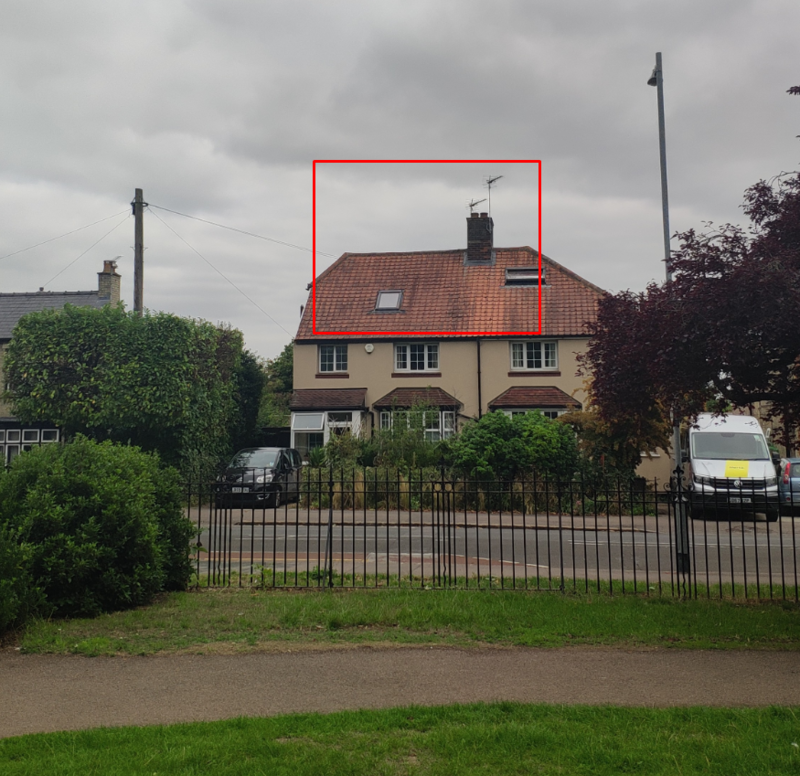 In Photo and Square modes, this zoom can be suplemented by much bigger, however at least partially digital zoom, but let me show a few things first. Firstly the zoom option you can find in a white circle, just above the imaging modes near the bottom of the screen (Pic. 7). Pic. 7 A zoom option in Xiaomi Mi 8 smartphone. You can use the zoom option in Xiaomi Mi 8 6GB 128GB smartphone by touching the area inside this white circle. The optical zom will automatically change to 2x magnification. I will show the 2x enlargment examples in the sequences below. Before it I would like to say frankly, that I was very glad use the optical zoom in Panorama mode (Pic. 8 – 10). Due to enlargement user might have create a picture with double width (Pic. 8, 9), regardless of total angle of the panorama. Pic. 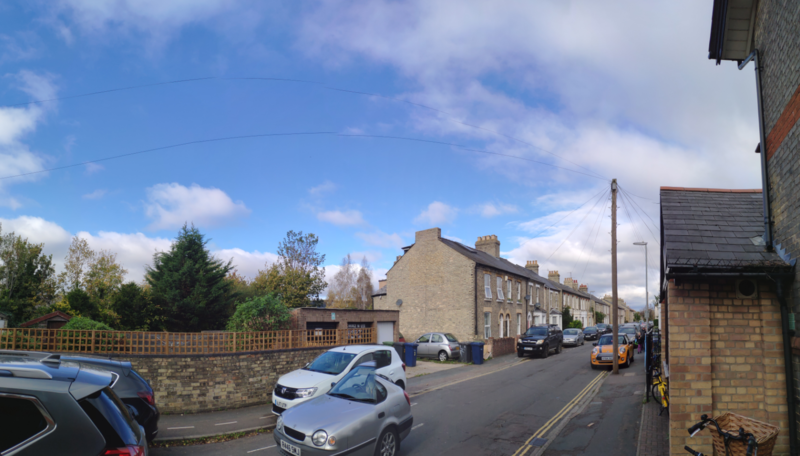 8, 9 Panorama made by Xiaomi Mi 8 smartphone in 1x and 2x enlargments. Pictures differ from each other by size. Due to compression, the enlargement is gone. 8 – 1x zoom, 9 – 2x zoom. 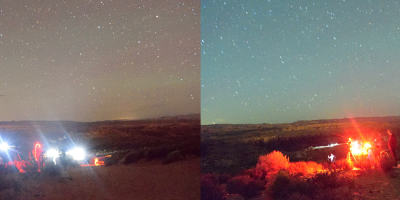 To see the real difference between these 2 panoramas, I have cropped both pictures and places them below (Pic. 10). 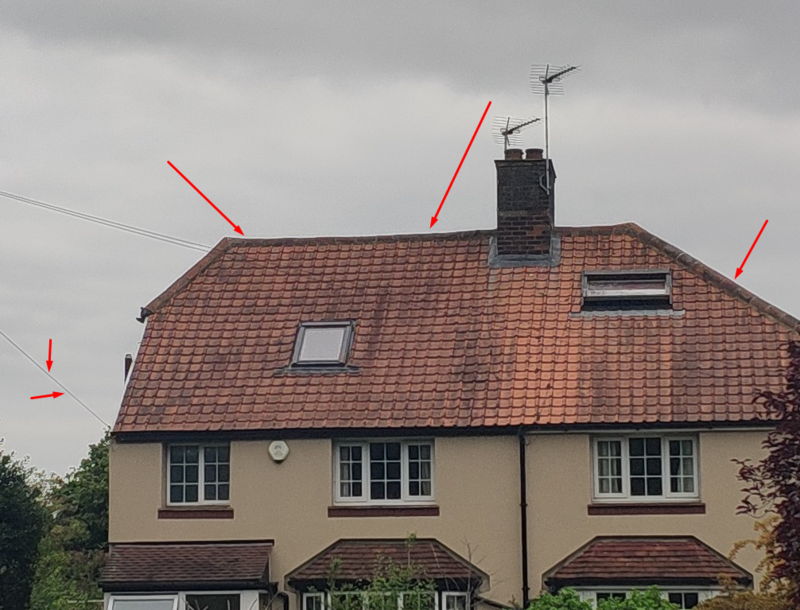 There is a very important place, indicated by red arrows. Namely some of the parts during the panorama preparation were not sharp enough. probably I was moving the camera too fast and autofocus had not enough time to set properly. The result is poor in some middle part of the cropped picture, which looks more blurred. Pic. 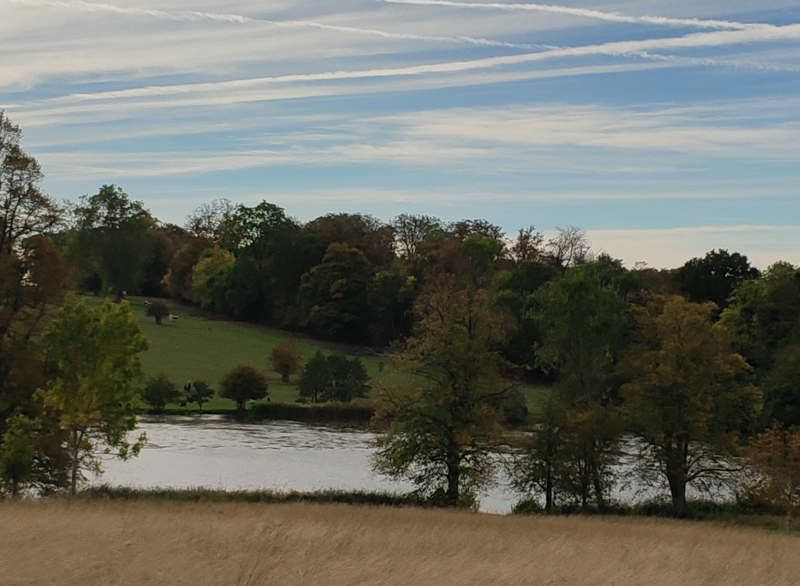 10 A cropped fragments of the panoramas taken in 1x and 2x optical zoom by Xiaomi Mi 8 smartphone. 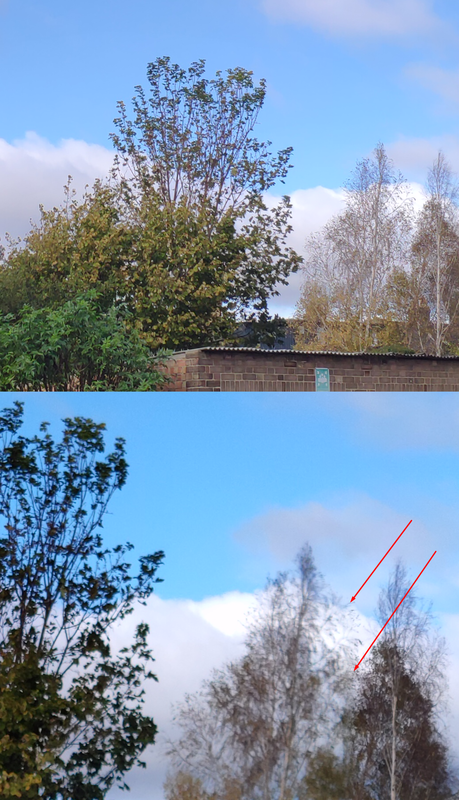 Red arrows shows the border between blurred and sharp area, which was a result too fast panorama preparation. As we came through a standard optical zoom offered by Xiaomi Mi 8 6GB 128GB global smartphone now we can discuss more about bigger enlargement possibilities. To make your zoom bigger, you must click on the white circle, shown above and hold it until you get the vertical zoom scale. Then you will be able to set the zoom value. Pic. 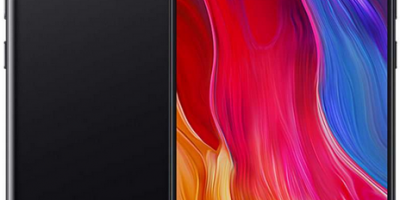 11 The 5x zoomed image in the Xiaomi Mi 8 screen. To be fair they are not as good as we could use in compact cameras, but at least exist. Being honest I would like to say, that the optical zoom really works up to 2x. 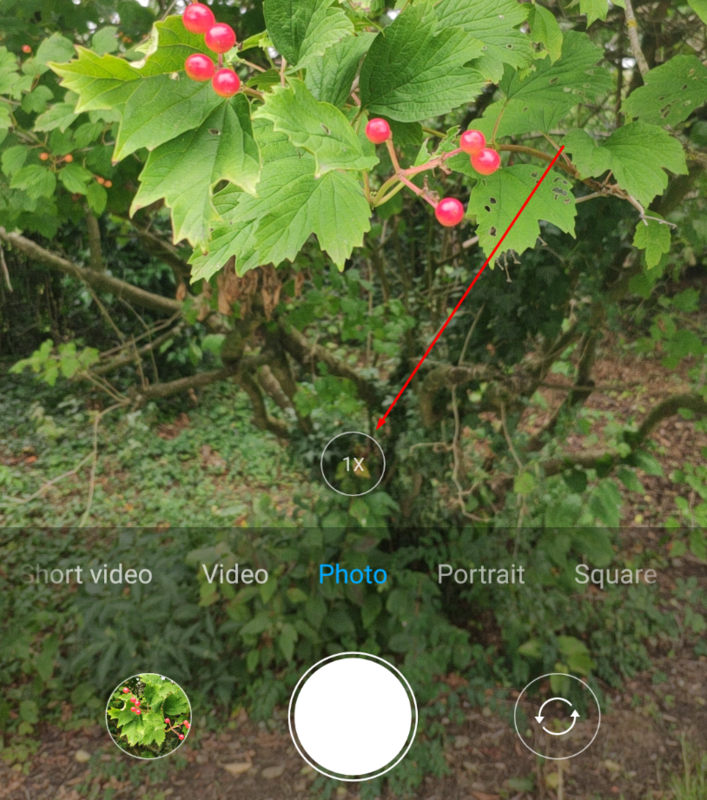 Next, up to 4x user can still enjoy he optical zoom, which works by the pixel interpolation. If you don’t know how it works in practise, read one of my previous articles. When enlargment is higher than 4x, the digital zoom takes hold, what becomes clearly visible not only in cropped pictures, but also in normal ones. See the examples of the zoom below. I prepared in order: zoom into close object (Pic. 12, 13), zoom into far, remarkable object (Pic. 14, 15) and zoom into far, thin object (Pic. 16, 17). Pic. 12 Zoom for close object. Romsey Mill memorial stone, Cambridge, UK. Pic. 13 Zoom for close object, cropped. Romsey Mill memorial stone, Cambridge, UK. Pic. 14 Zoom into remote object, located 2,5km ahead. Colleridge Road with view on the Addenbrooke’s Hospital, Cambridge, UK. Pic. 15 Zoom into remote object, located 2,5km ahead, cropped. View on the Addenbrooke’s Hospital chimney, Cambridge, UK. Pic. 16. Zoom on a remote thin object, located about 100m ahead (the yagi antenna). Pic. 17 Zoom on a remote thin object, located about 100m ahead (the yagi antenna), cropped. 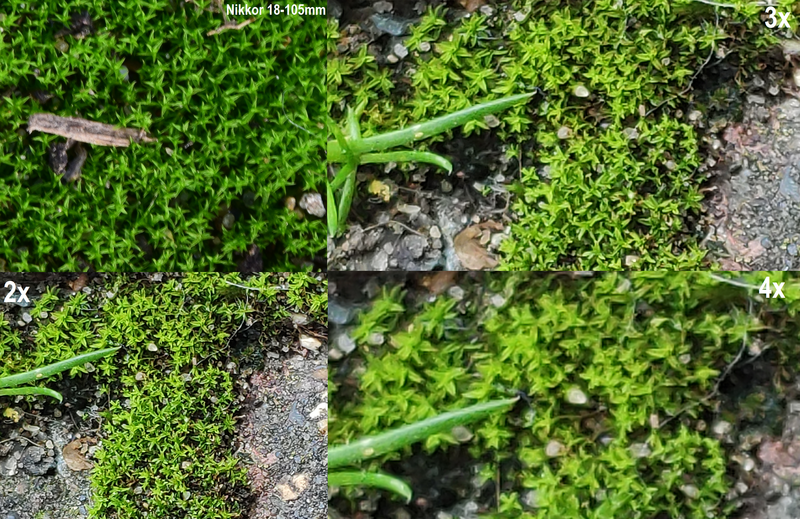 The zoom option in Xiaomi Mi 8 can offer also a macro feature. Basically the quality appears to be the same. A minimal distance to the object can be similar to some DSLR lenses and compact cameras. This is about 25 – 30 cm, however a bit better effect you will gain, when increase the distance a bit. In general a macro quality can compete with macro offered by some DSLR lenses, which does’t have highlighted a macro as a feature (Pic. 18). Pic. 18 Macro comparison between Xiaomi Mi 8 6GB 128GB (Global version) and Nikkor 18-105mm lenses, all cropped. Peat moss. 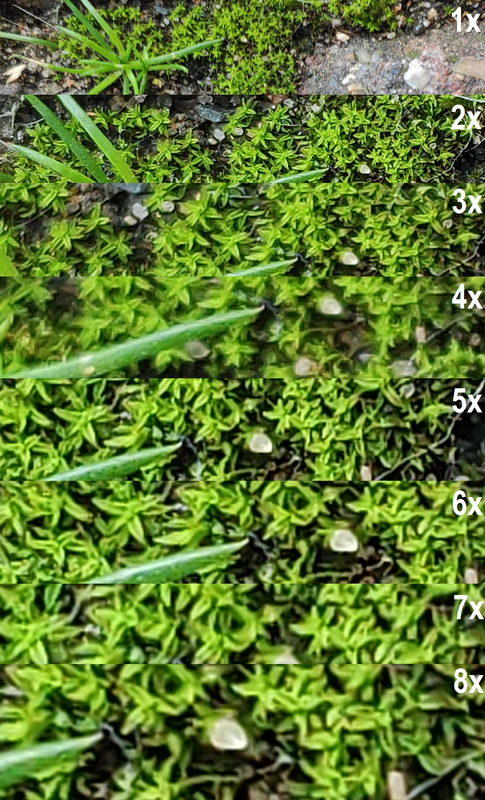 Knowing a general macro feature, which the Xiaomi Mi 8 device offers let’s come through all zoom options and consider the macro photos taken from the minimum possible distance (about 25-30 cm)(Pic. 19, 20) as well as a bigger one (around 50 cm)(Pic. 21, 22). Pic. 19 Macro image taken by Xiaomi Mi 8 from the minimum distance to the object, about 25-30 cm. Peat Moss. Pic. 20 Macro image taken by Xiaomi Mi 8 from the minimum distance to the object, about 25-30 cm, cropped. Peat Moss. Pic. 21 The macro picture taken by Xiaomi Mi 8 spartphone from about 50 cm distance. Dicranum moss. Pic. 22 The macro picture taken by Xiaomi Mi 8 spartphone from about 50 cm distance, cropped. Dicranum moss. Looking on aforementioned examples we can spot, that macro picture taken with bigger distance to the object looks better for lower enlargments, but much worse for bigger magnification. Bear in mind the focus set and give your smartphone camera some time to adjust the sharpness before you start taking this kind of picture. Sometimes can be good to stabilize your device properly also. Autofocus plays a vast role when your zoom is running. Every vibration is multiplied by zoom value. 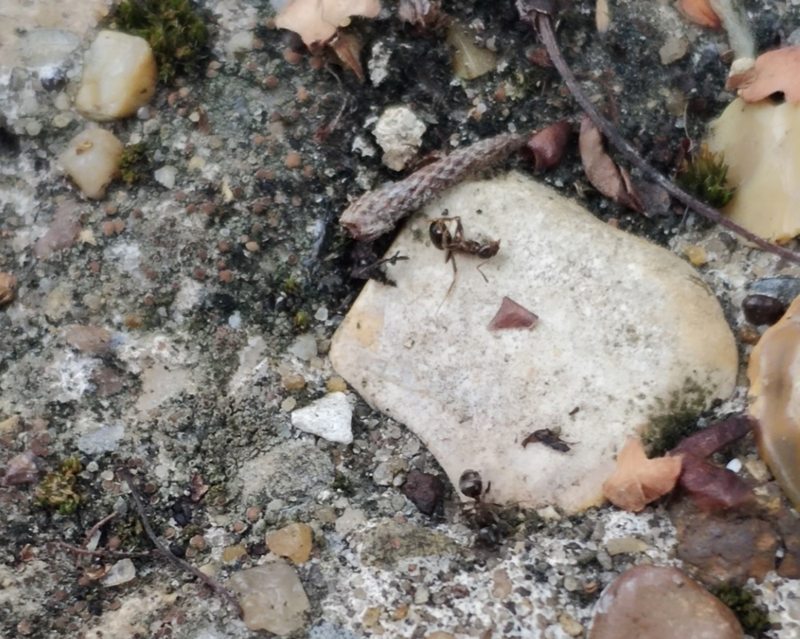 The zoom feature provided by Xiaomi Mi 8 6GB 128GB (Global version) gives a possibilities to take a picture of remote objests as well as a basic macro images. However, as it is in the smartphones example, also here is a lot of things to work out in future Xiaomi models. For the time being it appears to be one of the best from the smartphone environment.